Today I am wearing an Italian nail polish sold at the drugstore. It's called Lady Venezia Travel no. 04 and it's part of their mini bottles range. I am not even sure 04 is the code for this shade, it's the only code I could find on the bottle. It's an almost-neon light blue shade. Formula is on the thick side but it's easy to apply anyway. Coverage is good but it doesn't self level so you need a top coat for that. 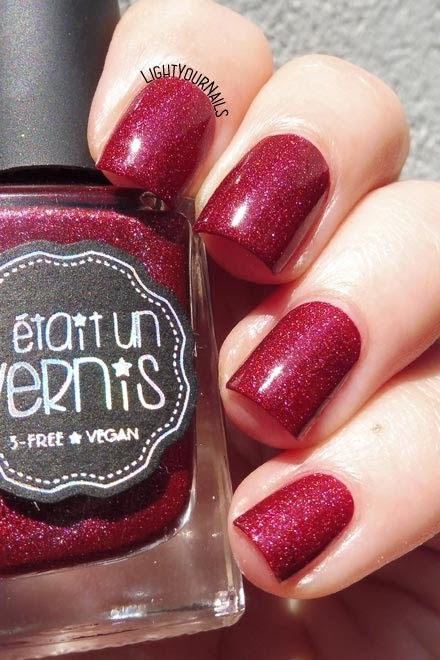 I purchased this mini nail polish because I liked the shade but had no expectations. It's actually quite good though, it lasted nearly a week without chipping which is surprising. Isn't it a great colour for Summer anyway? For letter Q in the Untried A-Z challenge I picked such an old nail polish you guys. This is no. 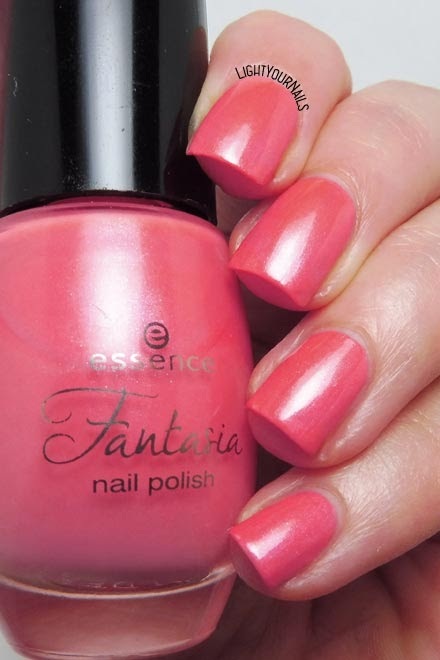 02 from Essence's Fantasia Trend Edition (aka limited edition) which was released back in 2012-2013. I actually wonder why I bought this shade back then, I find it really awful now. Essence 02 Queen of my Cloud Castle is a pink coral nail polish with silver shimmer. It has some kind of retro vibes, like I can see an older woman wearing it. Anyway, application is very easy despite it being 6 years old. Formula is on the watery side and it takes 3 coats for perfect coverage. Drying time is average. What can I say? I'd never buy it again, I guess my tastes changed in 6 years. Still it was useful for letter Q in the challenge! 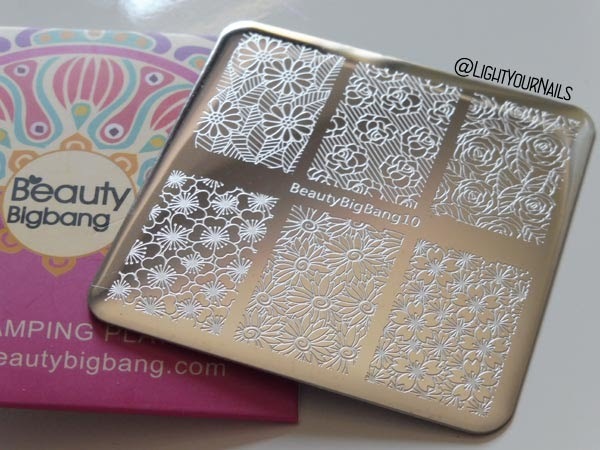 Today I wanna blog about another product from Chinese web store BeautyBigBang. It's their own brand black stamping polish, product code SKU: J6415TM-2A*. 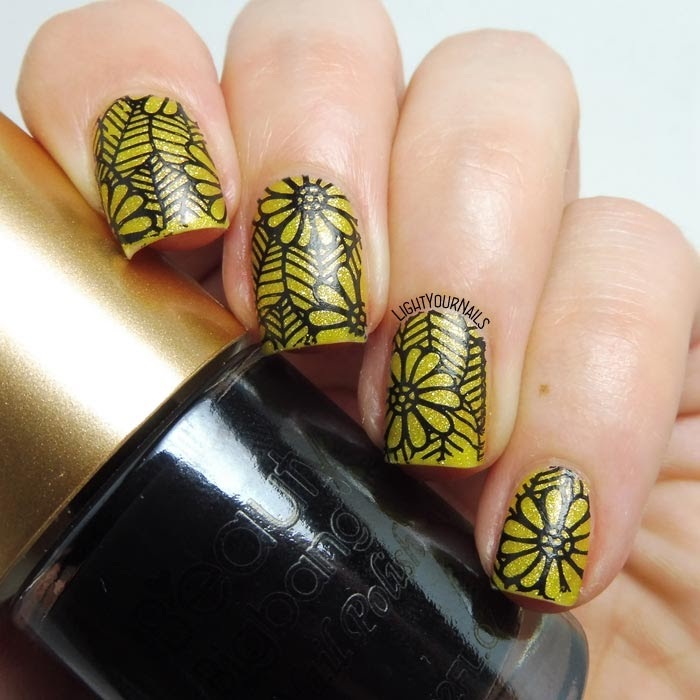 I've never really had any issues with black stamping polishes. Any black basically work,s but you know, black and white are what you use most so the more the merrier. It's the first BeautyBigBang stamping polish I've ever tested and my first impression is it's very pigmented. I can say the same about Bornpretty's ones, too. With these two brands I need to clean my plate after each print. It's not negative nor positive per se. It's pigmented so the design will perfectly transfer onto the nails, but on the other side it will stain your skin if you don't protect it. 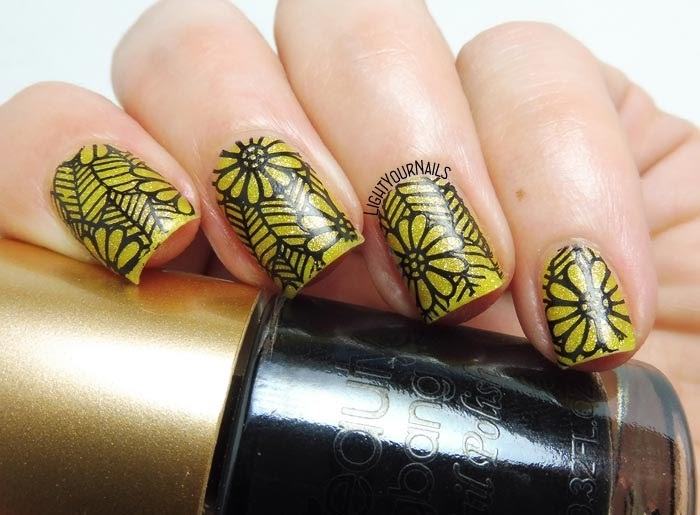 Personally I always use a liquid latex when I use this kind of stamping polishes. By the way, the BBB latex is awesome (product code SKU: J2176-WH). When I test some new stamping polish or plates I tend to go for fine lines to check if the design fully tranfers. Test passed! All those fine leaves lines did transfer. Don't mind the tips, I took my photos some days later and I had tip wear, also I didn't use a top coat so that didn't help either. 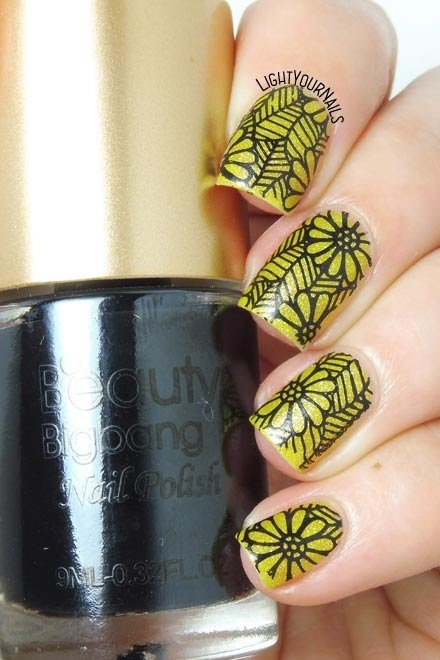 Stamping plate is BeautyBigBang10, product code SKU: J6401TM-4A. Base polish: Yes Love G1. I like the colour combo and I am quite happy with this mani. What do you think of it? I wanna remind you that you can use code SIMONA for a 10% off when shopping at BeautyBigBang if you wish. I'm back today with a shade that has strong Summer vibes. It's Yes Love G1. 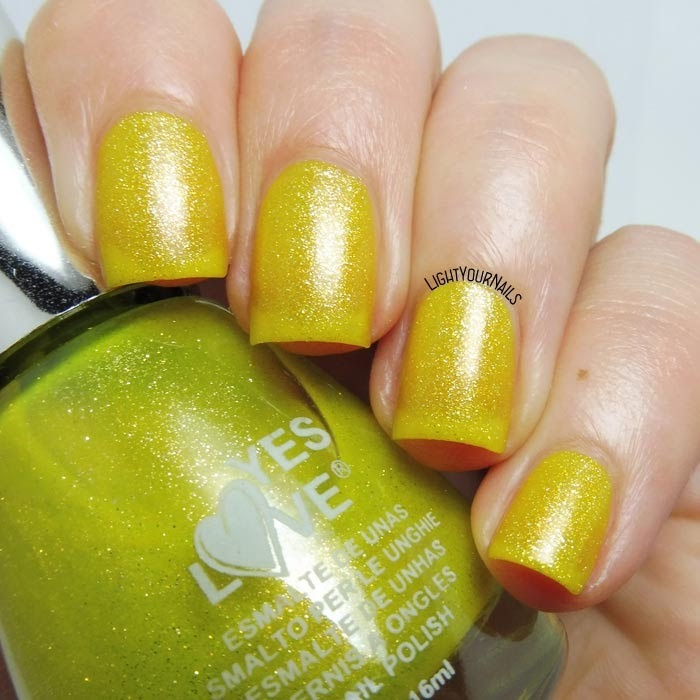 In the bottle it looks like a lime green leaning yellow but on the nails it's simply yellow. Big surprise: it dries satin! It's not an opaque nail polish, you can always see the nail tip underneath. Application is easy and drying time is fast, which is needed when it comes to an opaque finish because you can't really add a top coat. I wished it were a lime green! I would have loved it. This shade? Not 100% for me honestly. I love the finish though. 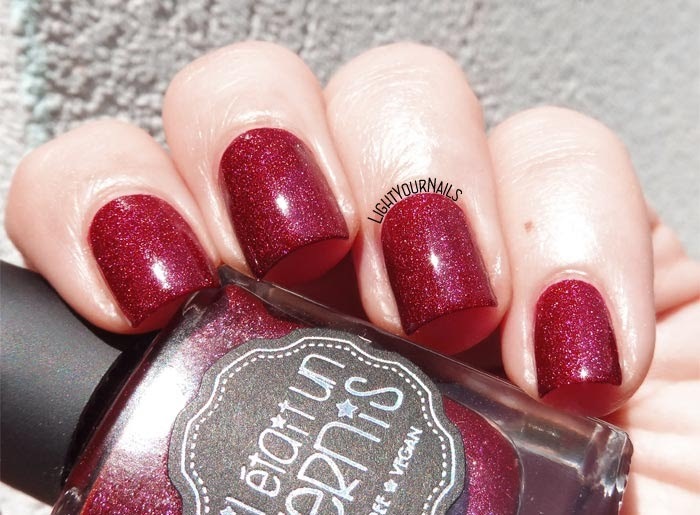 And it's a great Summer shade, it's so bright with that lovely silver shimmer. What do you think of this colour? And do you like a matte finish? How about a super summery shade today? My pick is Sinful Colors Timbleberry, a coral pink creme which is almost neon. Application is easy, it dries fast and has enough coverage in two coats. Bonus that it's cheap, too! I really liked it. It's not the usual bright pink shade. How do you like it? 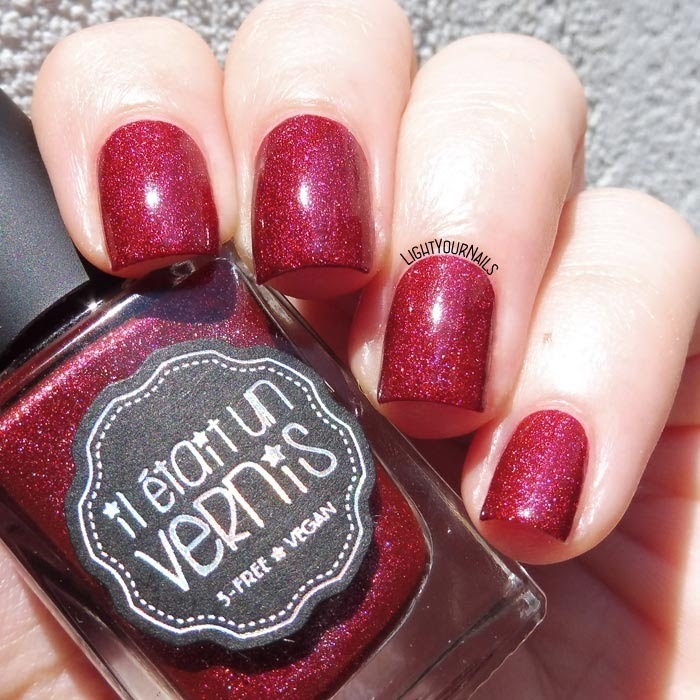 And what about Sinful Colors?